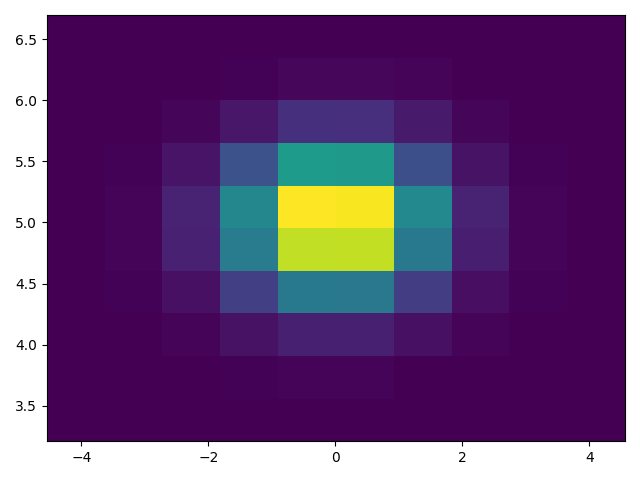 Demonstrates how to plot histograms with matplotlib. To generate a 1D histogram we only need a single vector of numbers. For a 2D histogram we'll need a second vector. 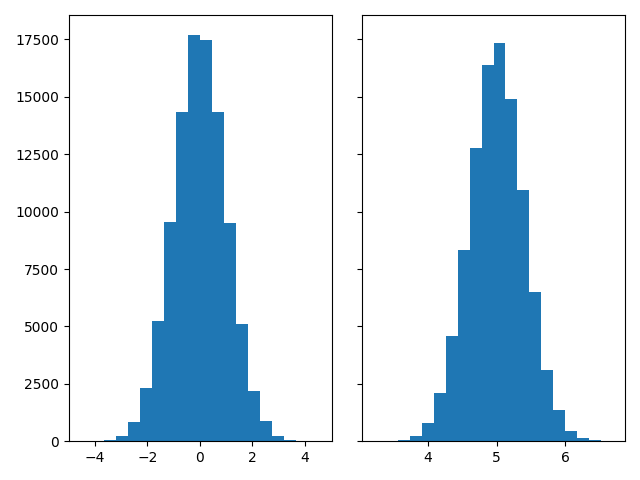 We'll generate both below, and show the histogram for each vector. The histogram method returns (among other things) a patches object. This gives us access to the properties of the objects drawn. Using this, we can edit the histogram to our liking. Let's change the color of each bar based on its y value. 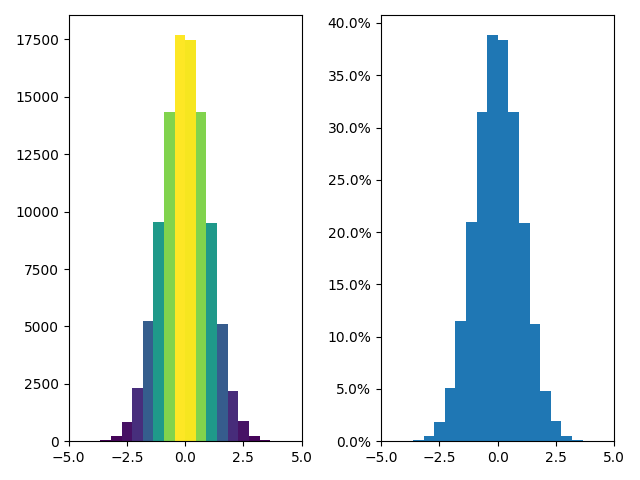 To plot a 2D histogram, one only needs two vectors of the same length, corresponding to each axis of the histogram. Customizing a 2D histogram is similar to the 1D case, you can control visual components such as the bin size or color normalization.